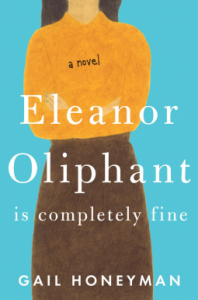 I thought Eleanor Oliphant.... was an unusual but also a great book! I adored 30-something Eleanor, with her social awkwardness and saying whatever came to mind (totally unaware that people didn't voice those opinions). I felt sad for her too-- that she had such a painful childhood, her incredible loneliness, and her status as a social pariah. 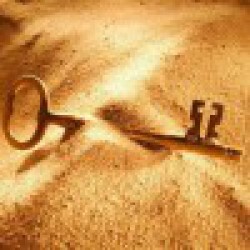 At the beginning of the book, when all Eleanor's social difficulties started to reveal themselves, I initially thought that maybe she had Asperger's Syndrome or some form of autism, but as the book progressed, the reason for her lack of social skills and stunted emotional and cultural development became apparent, and I even more empathetic. When she develops a crush on the lead singer of a band that she has never met, just seen briefly in concert (her first crush ever), she becomes obsessed and believes that it is destiny and they are meant to meet, fall in love and marry, and thus make her over-bearing and incredibly cruel mother happy. She eventually has a reality check, and Raymond (her IT co-worker) comes to the rescue. I adored this heart-warming book featuring the unique character of Miss Oliphant and how she chooses to become the victor and no longer the victim.